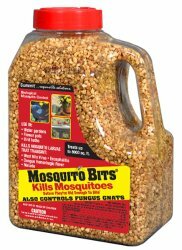 Sound biological mosquito control - Kills within 24 hours. Kills before mosquitoes are old enough to bite. Sprinkle in any standing water .